The AMC Museum Foundation is starting a unique fundraising campaign. For a $100 donation to the AMC Museum Foundation “Bench Program” you can get your name on a plaque on the bench of your choice. We’ll also recognize you in the museum’s quarterly newsletter, Hangar Digest, and on our website. They’ll be placed on the ramp near their respective aircraft to complement the static displays, and, as often as possible, they’ll be placed where visitors can rest in some shade. These 8-foot-long benches are high-quality plastic-coated rolled steel with cast aluminum legs. Weighing in at nearly 250 pounds each, we shouldn’t need to move them, even for the occasional Delaware hurricane. 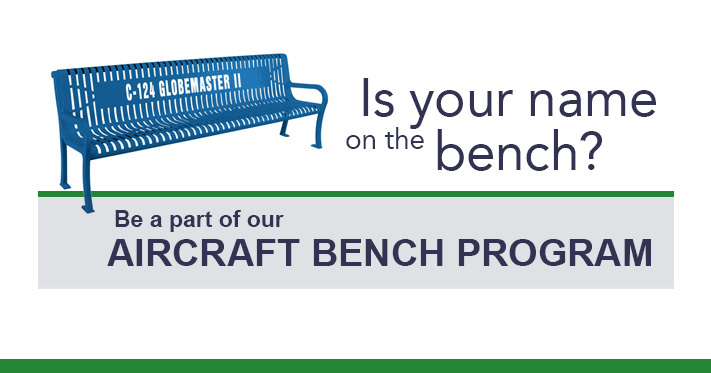 Learn more and be a part of our aircraft bench program by clicking here!